Class 2 / 3 rapids. LADISE DELIGHT, UPSET and SURPRISE. Early in the morning, we travel 3 / 4 hours (81 km from Kathmandu) by tourist bus from Lainchayour to the rafting starting point - Charudi red house. 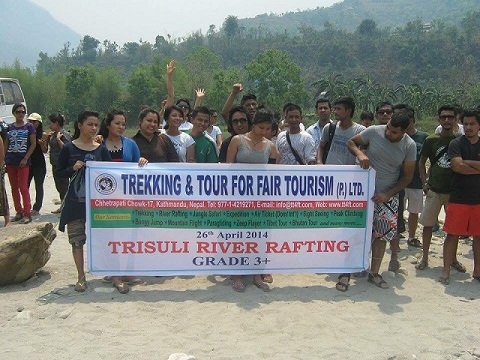 The Trisuli river is classed as grade 3 and this exciting rafting trip passes a few class 2 / 3 rapids called "LADISE DELIGHT", "UPSET" AND "SURPRISE". After 25 km rafting, we will have a hot buffet lunch. After lunch, our trip will be finished and you will be taken back to Kathmandu by tourist bus. 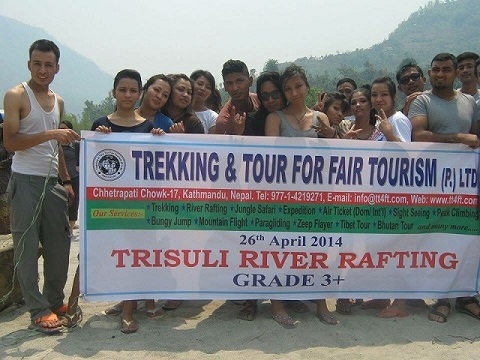 - Transfer by touris bus from Kathmandu to rafting point and back to Kathmandu. 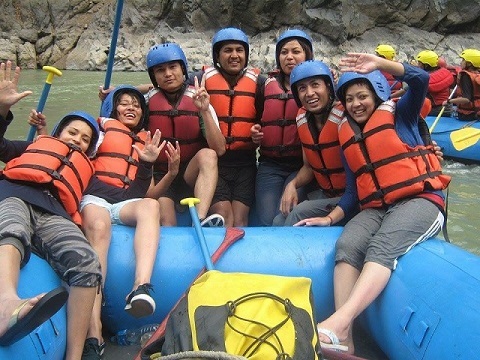 - Approximately 4 hours (25 km) whitewater rafting. 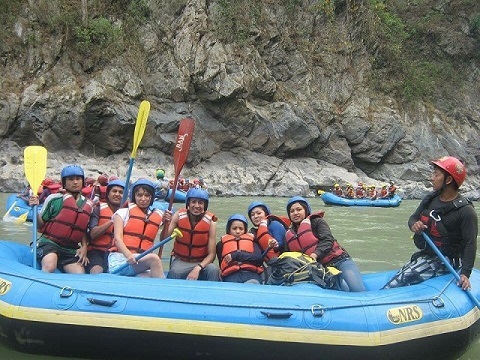 - NRS expedition rafting boat. - Modern life jacket, protect helmet, plastic paddle. - Safety equipment, dry bag, safety drum. - A professional whitewater river guide. - Hot buffet lunch: plain rice, pasta/chowmen, mix vegetable curry, fry chicken, lentil soup / Rajma, green salad, Papad / Prown, fruits and Tea/Coffee. - All bar and beverage.